Kids Wander. Monkey KID Sensor, a child sensor, allows you to be mindful of your kids in any environment while allowing them to explore an active life. Place the Monkey KID Sensor on your child’s shoe with our easy wearable. 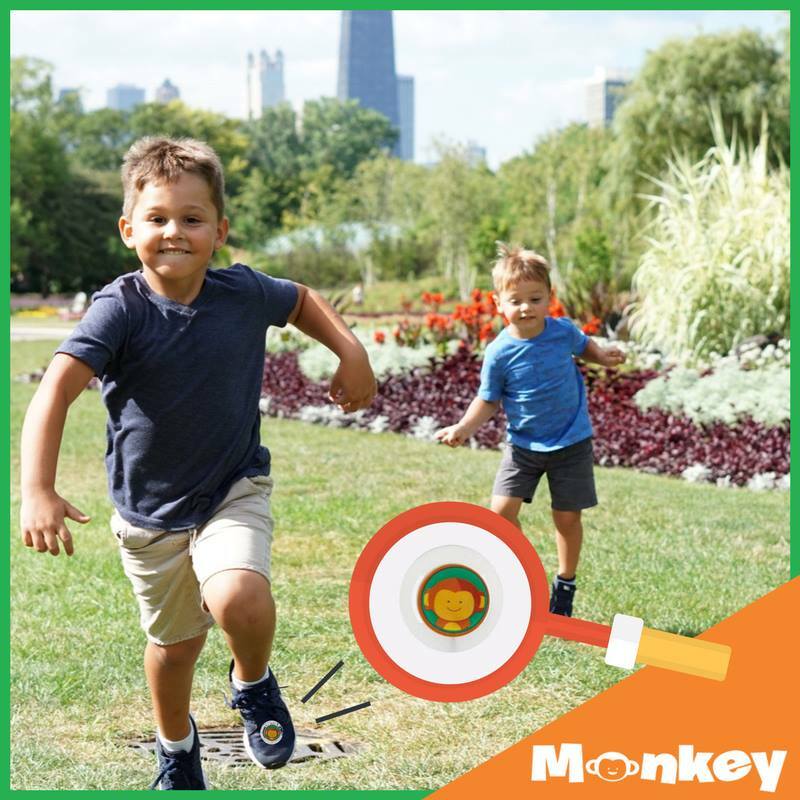 Now, you’re in control with custom distances set from your smartphone using the Monkey KID Sensor app. Unlike GPS, this product will work anywhere in the world without any monthly fees utilizing beacon technology. Available only for IOS, Android coming soon! Download the Monkey KID Sensor App from iTunes! Click on the video below to see how Monkey KID Sensor works! You want your kids to explore but not at the cost of their safety! The Monkey KID Sensor uses a beacon sensor to create a wireless bond with your child after pairing the sensor with the Monkey KID Sensor App. Simply attach the sensor to your child's shoe, back pack, belt loop etc. If your monkey strays too far, you're alerted immediately via the Monkey KID Sensor app. Your phone will make an audible tone and the app will turn red. Monkey KID Sensor can be used anywhere in the world with no subscriptions or cellular service plans required! Monkey KID Sensor is the easiest way for a parent to monitor their children. We made the technology simple to use. Add as many sensors as you'd like. Track some or all at the same time. The app triggers clear notifications in real time with the proximity of each child. Tweak your sensitivity settings to your comfort level. Identify your Monkey beacons with names and photos.